I'm waiting to go to England and did not do anything special in the studio the last week. Next week I will go to an international calligraphy workshop with Carls Rohrs at The Cambridge Centre, Villiers Park Educational Trust. But of course I want to share with you all the inspiration that I find on the Web. consisting of Lara Cameron and Tegan Rose. You can read about Ink & Spindle in the latest Artisan magazine if you have an ipad. 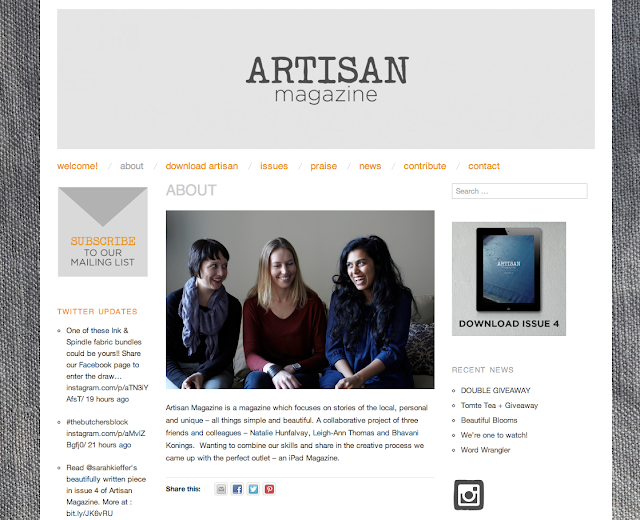 Artisan Magazine is a really nice digital magazine that really utilizes all the advantages of the medium. Love it.